Death*: He died before 1805 in Halifax County, Virginia. [S64] Carolyn L. Bush Laird, The Bush Family As Descended from Richard and Mary Prescott Bush (n.p. : n.pub., 1987) pp. 4, 10 (naming Bibby Bush I as his father). This typewritten, photocopied work was produced by Carolyn L. Bush Laird. A copy is in the Genealogy Collection, Texas State Library, Austin, Tex. [S64] Carolyn L. Bush Laird, [etc. ], above p. 10. [S269] Brenda Wyatt, electronic mail to Roger Bartlett, 7 Jul 1997, (naming Thomas Abram Bush as his father). [S64] Carolyn L. Bush Laird, The Bush Family As Descended from Richard and Mary Prescott Bush (n.p. : n.pub., 1987) pp. 4, 10 (naming Bibby Bush I as her father). This typewritten, photocopied work was produced by Carolyn L. Bush Laird. A copy is in the Genealogy Collection, Texas State Library, Austin, Tex. [S64] Carolyn L. Bush Laird, The Bush Family As Descended from Richard and Mary Prescott Bush (n.p. : n.pub., 1987) pp. 4, 10. This typewritten, photocopied work was produced by Carolyn L. Bush Laird. A copy is in the Genealogy Collection, Texas State Library, Austin, Tex. [S64] Carolyn L. Bush Laird, The Bush Family As Descended from Richard and Mary Prescott Bush (n.p. : n.pub., 1987) pp. 3-4, 7. This typewritten, photocopied work was produced by Carolyn L. Bush Laird. A copy is in the Genealogy Collection, Texas State Library, Austin, Tex. [S64] Carolyn L. Bush Laird, [etc. ], above p. 3 (naming Mary _____ as his mother). Birth*: He was born circa 1686. Death*: He died in January 1767. [S64] Carolyn L. Bush Laird, The Bush Family As Descended from Richard and Mary Prescott Bush (n.p. : n.pub., 1987) p. 3 (naming Richard Bush I as his father). This typewritten, photocopied work was produced by Carolyn L. Bush Laird. A copy is in the Genealogy Collection, Texas State Library, Austin, Tex. [S64] Carolyn L. Bush Laird, [etc. ], above pp. 3 (date only), 4 (place only). [S64] Carolyn L. Bush Laird, [etc. ], above p. 4 (naming John Bush I as her father). [S64] Carolyn L. Bush Laird, [etc. ], above p. 4 (calling him Richard Bush III and naming John Bush I as his father). [S64] Carolyn L. Bush Laird, [etc. ], above p. 4 (calling him John Bush II and naming John Bush I as his father). [S64] Carolyn L. Bush Laird, [etc. ], above p. 4 (naming John Bush I as his father). [S64] Carolyn L. Bush Laird, The Bush Family As Descended from Richard and Mary Prescott Bush (n.p. : n.pub., 1987) p. 3 (naming John Smith as her father). This typewritten, photocopied work was produced by Carolyn L. Bush Laird. A copy is in the Genealogy Collection, Texas State Library, Austin, Tex. [S64] Carolyn L. Bush Laird, [etc. ], above p. 3 (naming Sarah Harwar Smith as her mother). [S64] Carolyn L. Bush Laird, [etc. ], above p. 4 (naming Sarah Smith as her mother). [S64] Carolyn L. Bush Laird, [etc. ], above p. 4 (naming Sarah Smith as his mother). [S64] Carolyn L. Bush Laird, The Bush Family As Descended from Richard and Mary Prescott Bush (n.p. : n.pub., 1987) p. 4 (calling him Richard Bush III and naming John Bush I as his father). This typewritten, photocopied work was produced by Carolyn L. Bush Laird. A copy is in the Genealogy Collection, Texas State Library, Austin, Tex. [S64] Carolyn L. Bush Laird, The Bush Family As Descended from Richard and Mary Prescott Bush (n.p. : n.pub., 1987) p. 4. This typewritten, photocopied work was produced by Carolyn L. Bush Laird. A copy is in the Genealogy Collection, Texas State Library, Austin, Tex. [S64] Carolyn L. Bush Laird, The Bush Family As Descended from Richard and Mary Prescott Bush (n.p. : n.pub., 1987) p. 4 (calling him John Bush II and naming John Bush I as his father). This typewritten, photocopied work was produced by Carolyn L. Bush Laird. A copy is in the Genealogy Collection, Texas State Library, Austin, Tex. [S64] Carolyn L. Bush Laird, The Bush Family As Descended from Richard and Mary Prescott Bush (n.p. : n.pub., 1987) p. 4 (naming John Bush I as his father). This typewritten, photocopied work was produced by Carolyn L. Bush Laird. A copy is in the Genealogy Collection, Texas State Library, Austin, Tex. [S64] Carolyn L. Bush Laird, The Bush Family As Descended from Richard and Mary Prescott Bush (n.p. : n.pub., 1987) p. 4 (naming John Bush I as her father). This typewritten, photocopied work was produced by Carolyn L. Bush Laird. A copy is in the Genealogy Collection, Texas State Library, Austin, Tex. Marriage*: She married Robert Sharman. [S360] Mary Love Berryman, computer files sent to Roger Bartlett, 20 Jan 1998 (naming Joseph Moore as his father). [S530] Lloyd Arthur Dixon, 2202 Cedarcrest Dr., Carrollton, Tex. 75007, chart of descendants of Joseph Moore sent to Roger Bartlett, 24 Jan 1999,(naming Joseph Moore as his father). [S360] Mary Love Berryman, 20 Jan 1998 computer files, above (naming Agnes _____ as his mother). [S530] Lloyd Arthur Dixon, chart of descendants of Joseph Moore, above,(naming Agnes _____ as his mother). [S186] Margaret Ruth Yeates Robertson, "Fortson Family," in A History of Monroe County, Mississippi, vol. 1 (n.p. : Monroe County Book Committee, 1988), p. 481, (giving only the year). [S360] Mary Love Berryman, 20 Jan 1998 computer files, above (giving only the date). [S509] Miscellaneous Family Histories, online http://www.apc.net/rodbush/miscfami.htm, s.v. "John Moore Family", (giving only the date). [S186] Margaret Ruth Yeates Robertson, "Fortson Family," above, (giving only the year and not naming the place). [S360] Mary Love Berryman, 20 Jan 1998 computer files, above. [S186] Margaret Ruth Yeates Robertson, "Fortson Family," above. [S530] Lloyd Arthur Dixon, chart of descendants of Joseph Moore, above,(stating that he served in the American Revolution). [S530] Lloyd Arthur Dixon, chart of descendants of Joseph Moore, above,(naming John Moore as her father). [S360] Mary Love Berryman, 20 Jan 1998 computer files, above (naming John Moore as her father). [S509] Miscellaneous Family Histories, online http://www.apc.net/rodbush/miscfami.htm, s.v. "John Moore Family", (naming John Moore as her father). [S186] Margaret Ruth Yeates Robertson, "Fortson Family," above, (naming John Moore as her father). [S360] Mary Love Berryman, 20 Jan 1998 computer files, above (naming John Moore as his father). [S509] Miscellaneous Family Histories, online http://www.apc.net/rodbush/miscfami.htm, s.v. "John Moore Family", (naming John Moore as his father). [S530] Lloyd Arthur Dixon, chart of descendants of Joseph Moore, above,(naming John Moore as his father). [S360] Mary Love Berryman, computer files sent to Roger Bartlett, 20 Jan 1998 (naming Phillip Lewis, Sr. as her father). [S360] Mary Love Berryman, 20 Jan 1998 computer files, above (naming Sarah _____ as her mother). [S530] Lloyd Arthur Dixon, 2202 Cedarcrest Dr., Carrollton, Tex. 75007, chart of descendants of Joseph Moore sent to Roger Bartlett, 24 Jan 1999. [S186] Margaret Ruth Yeates Robertson, "Fortson Family," in A History of Monroe County, Mississippi, vol. 1 (n.p. : Monroe County Book Committee, 1988), p. 481. [S530] Lloyd Arthur Dixon, chart of descendants of Joseph Moore, above,(naming Mary Lewis as her mother). [S360] Mary Love Berryman, 20 Jan 1998 computer files, above (naming Mary Lewis as her mother). [S509] Miscellaneous Family Histories, online http://www.apc.net/rodbush/miscfami.htm, s.v. "John Moore Family", (naming Mary Lewis as her mother). [S186] Margaret Ruth Yeates Robertson, "Fortson Family," above, (naming Mary Lewis Moore as her mother). [S360] Mary Love Berryman, 20 Jan 1998 computer files, above (naming Mary Lewis as his mother). [S509] Miscellaneous Family Histories, online http://www.apc.net/rodbush/miscfami.htm, s.v. "John Moore Family", (naming Mary Lewis as his mother). [S530] Lloyd Arthur Dixon, chart of descendants of Joseph Moore, above,(naming Mary Lewis as his mother). [S65] Carmen J. Finley , Ph.D., C.G., Santa Rosa, Calif., computer files sent to Roger Bartlett, June 1994 (attributing data to Jim Landrum) (naming John Fortson as her father). [S65] Carmen J. Finley, Jun 1994 computer files, above (naming Sarah Moore as her mother). [S559] Kathleen Paul Jones and Pauline Jones Gandrud, comps., Alabama Records, 1933 (Easley, S.C.? : Southern Historical Press, 1980? ), vol. 8, p. 50 (citing Marriage Records, Tuscaloosa Co., Ala., "book marked Jan. 2, 1837 to Dec. 9, 1843," n.p.). [S560] Pauline Jones Gandrud, Marriage Records of Tuscaloosa County, Alabama (Memphis, Tenn.: The Milestone Press, 1968), p. 60 (citing bk. 2 ["book dated Jan. 2, 1837 to Feb. 9, 1843"], p. 29 and stating that date may be 28 Sep 1837). [S488] Matthews Family Information, online, above, (naming Thomas M. Matthews, Sr. as her father). [S65] Carmen J. Finley , Ph.D., C.G., Santa Rosa, Calif., computer files sent to Roger Bartlett, June 1994 (attributing data to Jim Landrum) (naming Thomas Matthews as his father). [S818] Unidentified newspaper clipping (obituary of J. J. Matthews), (naming Thomas Miller Matthews as his father). 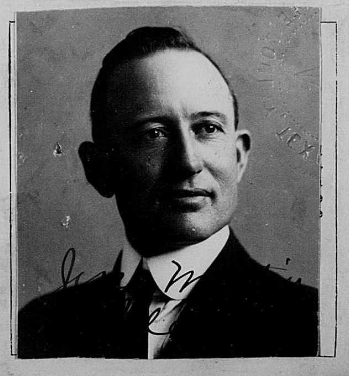 Jesse Martin Adams, from his 1924 passport application. [S961] Find A Grave, online at http://www.findagrave.com, memorial for Jesse M. Adams, memorial no. 47436393, viewed on 25 Sep 2011. [S1554] Report of the Death of an American Citizen for Jesse M. Adams issued at Marseille, France on 12 May 1925 (not giving the date or place but stating that he was forty-nine years old when he died). This American Foreign Service form 192 was viewed on 3 Jan 2019 at https://tinyurl.com/yb7ga8lo on ancestry.com. [S1091] Hale County, Texas Cemeteries, online at http://www.rootsweb.com/~txhale (giving the date but not the place). [S961] Find A Grave, online, above, memorial for Jesse M. Adams, memorial no. 47436393, viewed on 25 Sep 2011 (giving the date but not the place). [S1554] Report of the Death of an American Citizen for Jesse M. Adams, above (stating that he died at 3:00 p.m. from purulent pleurisy). [S67] The Dallas Morning News, Dallas, Tex., 15 May 1925, pt. 2, p. 16. [S67] The Dallas Morning News, Dallas, Tex., 13 May 1925, pt. I, p. 1 ("Plainview Editor Is Dead in France"). [S197] Nancy Timmons Samuels & Barbara Roach Knox, comps., Old Northwest Texas: Historical-Statistical-Biographical, vol. 1-B, Navarro County, 1846-1860 (Ft. Worth, Tex. : Ft. Worth Gen. Soc'y, 1980), p. 556 (giving her name as Jemima and naming Solomon as her father). [S1200] A Memorial and Biographical History of Navarro, Henderson, Anderson, Limestone, Freestone and Leon Counties, Texas (Chicago, Ill.: Lewis Pub. Co., 1893), p. 762 (naming Solomon White as her father). [S197] Nancy Timmons Samuels & Barbara Roach Knox, comps., Old Northwest Texas, vol. 1-B, above, p. 556 (giving her name as Jemima and naming Mary White as her mother). [S1200] A Memorial and Biographical History of Navarro . . . and Leon Counties, Texas, above, p. 762 (naming Mary White as her mother). [S197] Nancy Timmons Samuels & Barbara Roach Knox, comps., Old Northwest Texas, vol. 1-B, above, p. 556 (stating that she was born circa 1815 in Louisiana or Arkansas). [S1200] A Memorial and Biographical History of Navarro . . . and Leon Counties, Texas, above, p. 762 (stating that she was born in Louisiana). [S67] The Dallas Morning News, Dallas, Tex., 21 Aug 1899, p. 7 ("Old Settler Dead"). [S67] The Dallas Morning News, Dallas, Tex., 21 Aug 1899, p. 7. [S197] Nancy Timmons Samuels & Barbara Roach Knox, comps., Old Northwest Texas, vol. 1-B, above, p. 557 (naming Jemima White as Nelson Owen's wife and Jesse's mother). [S197] Nancy Timmons Samuels & Barbara Roach Knox, comps., Old Northwest Texas, vol. 1-B, above, p. 557 (naming Jemima White as Nelson Owen's wife and Eliza's mother). [S1200] A Memorial and Biographical History of Navarro . . . and Leon Counties, Texas, above, p. 762 (naming J. White as her mother). [S1200] A Memorial and Biographical History of Navarro . . . and Leon Counties, Texas, above, p. 762 (naming J. White as this child's mother). [S197] Nancy Timmons Samuels & Barbara Roach Knox, comps., Old Northwest Texas, vol. 1-B, above, p. 557 (naming Jemima White as Nelson Owen's wife and Martha's mother). [S197] Nancy Timmons Samuels & Barbara Roach Knox, comps., Old Northwest Texas, vol. 1-B, above, p. 557 (naming Jemima White as Nelson Owen's wife and Nelson's mother). [S203] Robert D. Adams, "Owen Cemetery (Family)," in Navarro Leaves and Branches, vol. 6, issue 2 (May 1983), p. 23, (naming Jerusia Owen as his mother). [S197] Nancy Timmons Samuels & Barbara Roach Knox, comps., Old Northwest Texas, vol. 1-B, above, p. 557 (naming Jemima White as Nelson Owen's wife and Valentine's mother). Death*: She died on 15 December 2012 in Scott & White Continuing Care Hospital, Temple, Bell County, Texas, at age 67. Other Names*: Francie Ruth Wilson Herring, Francie Ruth Herring, Francie Wilson Herring, Francie Herring. Obituary Abstract*: Services were at 2:00 p.m. Thursday, December 20, 2012, at Phillips & Luckey Funeral Chapel in Rockdale, Texas, followed by burial in the I.O.O.F. Cemetery in Rockdale. Rev. Rita Sims officiated. She was born September 10, 1945 in Corsicana, Texas to Grady Cade and Marjorie Ann (Harper) Wilson. She has lived the past forty-eight years in Rockdale. She and her husband were married on March 16, 1962 in Ciudad Acuna, Mexico and again on March 31, 1962 in Sanderson, Texas. They had five children. She retired from the Texas Racing Commission in Manor, Texas as an auditor. She had also worked as a school bus driver for Rockdale Independent School District, a waitress, and a tax examiner for I.R.S; had worked for the U.S. Treasury Department; and had been a secretary. She was a member of St. John's United Methodist Church in Rockdale, Milam County Genealogical Society, Milam County Historical Society, Sons of Hermann, Friends of the Library, and Daughters of the American Revolution. She was a volunteer with Rockdale Emergency Medical Services during the late 1970s and early 1980s. She enjoyed reading and playing bridge. 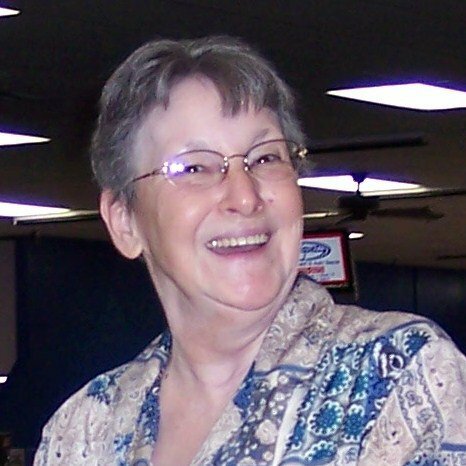 Francie passed away Saturday, December 15, 2012 in the Scott & White Continuing Care Hospital in Temple, at age 67. She was preceded in death by a son, Thomas Allen Herring, III and her parents. [S1248] Obituary of Francie Ruth Wilson Herring, on web site of Phillips & Luckey Funeral Home, Rockdale, Tex., at http://tinyurl.com/cv5k5yp, viewed on 17 Dec 2012 (naming Grady Cade Wilson as her father). [S5] Kellie Loop, Rice, Tex., miscellaneous papers, p. 6 (naming Marjorie Harper as her mother). Miss Loop collected family data for decades, probably from the 1930s to the 1970s. Some of it is in her handwriting, and much of it appears to have been written by others and sent to her, but very little of it contains source attribution. There are inconsistencies within the papers. In 1974 the papers were in the possession of Roger Bartlett, Austin, Tex., who assigned the page numbers for ease of reference. [S1248] Obituary of Francie Ruth Wilson Herring, above (naming Marjorie Ann Harper as her mother). [S5] Kellie Loop, miscellaneous papers, above p. 6 (giving the date but not the place). [S58] Index to Texas Birth Records (Austin, Tex. : Tex. Dept. of Health, Bur. of Vital Statistics), typescript 1945, vol. 6, p. 3011, file 108510 (giving the date and county but not the city). [S1248] Obituary of Francie Ruth Wilson Herring, above. [S1248] Obituary of Francie Ruth Wilson Herring, above (stating that they married again on 31 Mar 1962 in Sanderson, Texas). [S1248] Obituary of Francie Ruth Wilson Herring, above (naming Francie Ruth Wilson as his mother). [S961] Find A Grave, online at http://www.findagrave.com, memorial for Thomas Allen Herring, memorial no. 50523705, viewed on 24 Dec 2012 (naming Francie Wilson as his mother). [S5] Kellie Loop, Rice, Tex., miscellaneous papers, p. 1 (stating that they married in 1937). Miss Loop collected family data for decades, probably from the 1930s to the 1970s. Some of it is in her handwriting, and much of it appears to have been written by others and sent to her, but very little of it contains source attribution. There are inconsistencies within the papers. In 1974 the papers were in the possession of Roger Bartlett, Austin, Tex., who assigned the page numbers for ease of reference.